Howell S. Graham grew up in Charleston, South Carolina and in 1985 graduated from the University of North Carolina at Wilmington, receiving a BS in Business Administration with a concentration in Business Management. Following graduation he stayed in Wilmington, North Carolina. After earning his North Carolina Real Estate Broker’s license, Howell sold real estate and leased rental property. In 1990 Howell underwent surgery for a double-lung transplant at Memorial Hospital in Chapel Hill North Carolina now known as UNC Hospital. He was the first cystic fibrosis patient to receive a double-lung transplant in the southeast. Howell is believed to be the longest surviving patient of a double-lung surgery in the world: 29 years on October 8th, 2019. As an advocate for organ donation, he has attended medical conferences and spoken about his experiences to numerous groups on the east coast as well as being a member of Carolina Organ Procurement Association (COPA) committed to the education to the community about the critical need for organ donors. His work meeting and sharing information with individual patients and their families waiting for transplants continues today. 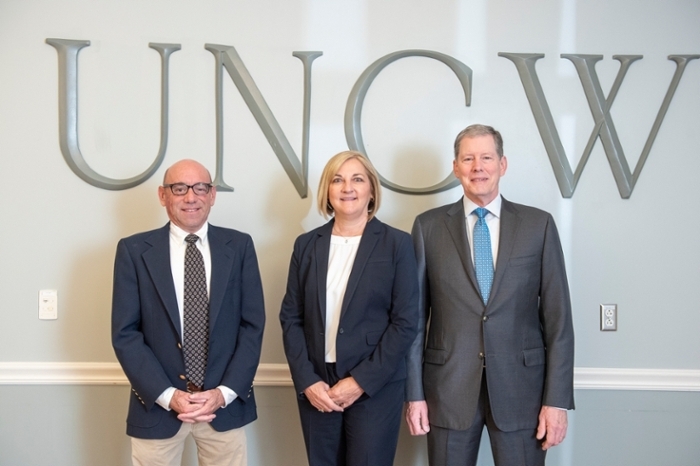 He has consulted with UNCW professor Dr. Daniel Baden on his Marbionic research exploring the benefits of red tide on the treatment of cystic fibrosis. Howell began his real estate appraisal training in 1991 and became a State Certified Residential Real Estate Appraiser in 1993. In 1995 he became a full partner in the Joseph Robb Real Estate Appraisal Firm, the oldest in Wilmington established in 1977, where he works today. 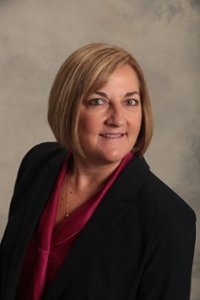 Serving on the Wilmington Mortgages Bankers Board for four years, Howell was treasurer for the board and was voted 2003 Mortgage Banker Affiliate of the Year. He was elected to the Board of Directors in 1997 for the Wilmington Regional Association of Realtors. 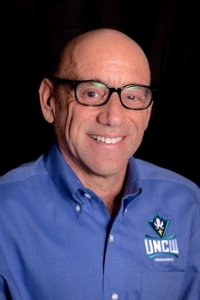 Today, Howell enjoys living in Wilmington with his wife of 25 years, Debbie, and they enjoy UNCW sporting events, fishing and boating life on the North Carolina Coast. Judy Lynn is an Executive Vice President and the Chief Credit Officer for Southern Bank and Trust Company, a $2.6 Billion community bank with its corporate office in Mount Olive, N.C.
A graduate of UNCW, Judy began her career in financial services 30 years ago by entering into the Commercial Bank Management Program with what is now Bank of America. She spent several years working with First Citizens Bank prior to joining Southern Bank in 2003 as their first Regional Credit Officer. In 2014, she was promoted to Senior Credit Officer, where she was responsible for assembling a team of Regional Credit Officers to oversee the Bank’s credit approval process and also an Asset Recovery team to handle the management of problem loans. In 2018, she was named Chief Credit Officer. Judy received her Bachelor of Science degree in Finance from UNCW in 1989. During her career, she also attended and graduated from the N.C. School of Banking, as well as the Graduate School of Banking at LSU. She is a native of Raleigh, but currently resides in Spring Hope N.C. Judy and her husband, Jay, have two sons, one of which is a recent graduate of the Cameron School of Business at UNCW, the other a firefighter in Wake county. David Wallace is Global Financial Services Marketing Manager for SAS with responsibility for defining industry strategy for banking and capital markets. He has over 35 years of experience in the application of IT to solve client needs, including a focus on the financial services industry for over 25 years. David supports global industry sales teams, meets with customers on-site and at the Executive Briefing Center, briefs industry analysts and press, speaks at industry conferences, and has served as chairman of the solutions provider executive council for BAI. Prior to joining SAS in 2008, David was Manager, Corporate & Investment Banking, Americas for Hewlett-Packard. 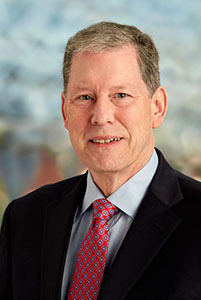 David held a number of senior sales and marketing positions over a 23-year career at HP and predecessor firms Digital Equipment and Compaq Computer. During a 10-year assignment managing the global account relationship with a top five U.S. financial services firm, David was responsible for client projects in corporate and investment banking, retail brokerage, consumer banking, commercial banking and payments, trust administration, retirement services and corporate shared services. David is a member of both the Clocktower Society and the UNCW Society. David and his brother, Stephen C. Wallace '80, also established the Slim and Edith Wallace Scholarship in Business in honor of their parents who both held a deep belief in the importance and value of higher education. David holds a Bachelor of Science in economics from the Cameron School of Business, University of North Carolina Wilmington and an MBA from East Carolina University. He is a member of GARP, PRMIA, and SIFMA Compliance & Legal Society. David is a native of Wilmington and now resides in Greensboro.